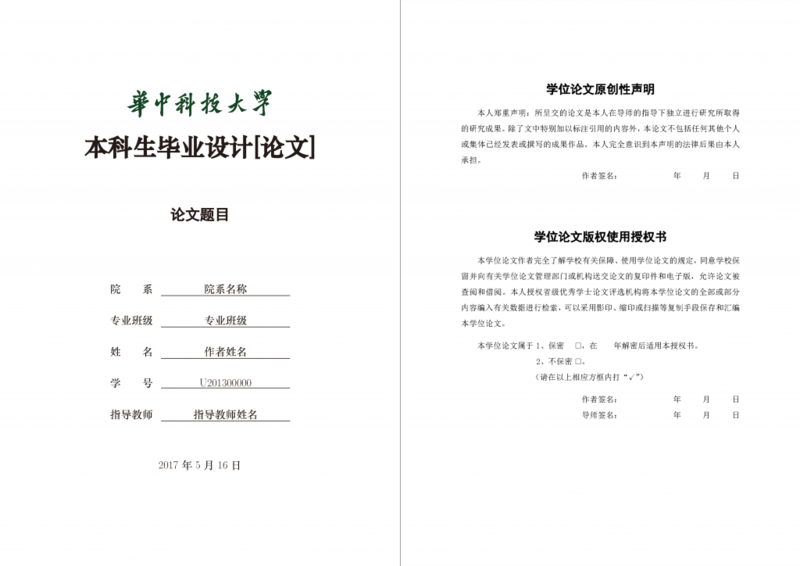 This project is the unofficial Huazhong University of Science and Technology undergraduate thesis LaTeX template. Taking into account the school templates that can be found on the internet are seriously outdated, I reproduced the template, in line with the 2017 HUST undergraduate thesis official template format. Project link: Github, welcome to subscribe. Full sample can be found at PDF sample document. If you are experiencing any problems with this template, you can email me or leave a message at the end of this article. For more information, please refer to instructions, or check the example under Example Folder .